ASTORIA, Queens (WABC) -- The NYPD is on the lookout for a serial vandal who was caught on camera spray-painting homophobic graffiti in Queens. The most recent incident was captured on surveillance video and occurred at around 5:30 a.m. on Tuesday. In the video, the suspect is seen spray painting a homophobic slur on the door of a building on 18th Street in Astoria. Police believe that the same man is responsible for at least 16 other acts of homophobic graffiti around Astoria since December 2016. 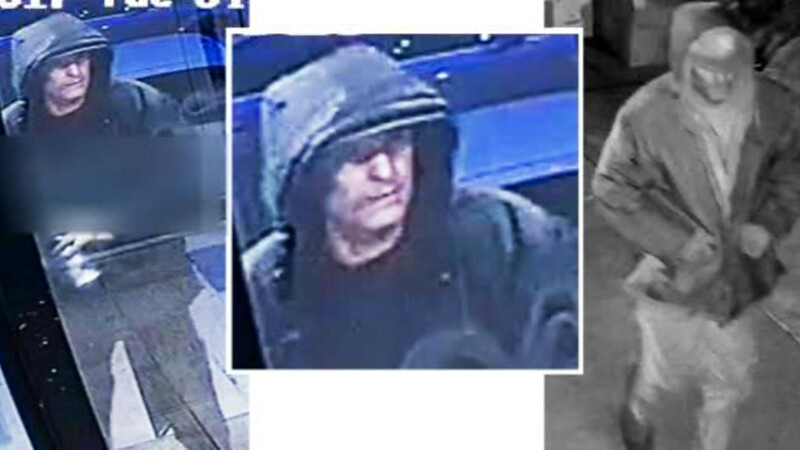 The suspect is described as being approximately 6' tall, weighing 200 pounds, and was last seen wearing a black long jacket with an attached hoodie, black pants and dark boots.